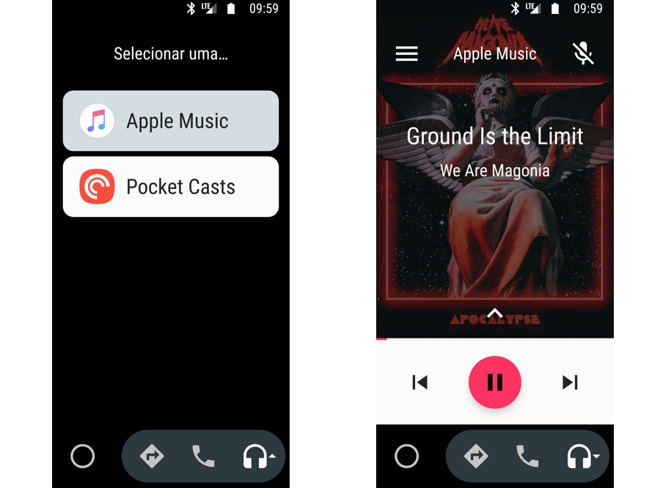 The latest Apple Music update for Android delivers long-awaited support for Android Auto, Google's option for interfacing handsets running its mobile operating system with in-car infotainment systems. A beta version of the app with similar functionality arrived late last month. Like Apple Music for iOS, which provides support for CarPlay, the Android iteration allows users to play tunes through an Android Auto-enabled infotainment system. Playback controls are accessible directly through the head unit, though actions are limited to basic operations. In addition to Android Auto integration, the updated Apple Music app includes a search by lyrics feature that debuted with iOS 12 on Monday. Instead of limiting song searches to titles, artists and albums, the added functionality lets users enter snippets of remembered lyrics, which are matched with Apple Music's database. A voice activated version of the same feature was added to HomePod in a software update that rolled out alongside iOS 12. The new Android update also introduces Friends Mix, which creates a playlist of songs inspired by friends' listening habits, and Apple Music's Top 100 charts. Finally, Apple Music for Android now takes advantage of refined Artist Pages. Apple earlier this month introduced a reorganized user interface for artist collections that separates albums, singles, EPs, compilations and other content into distinct categories, making it easier to find specific works. Apple Music for Android is a free 42MB download from the Google Play store.